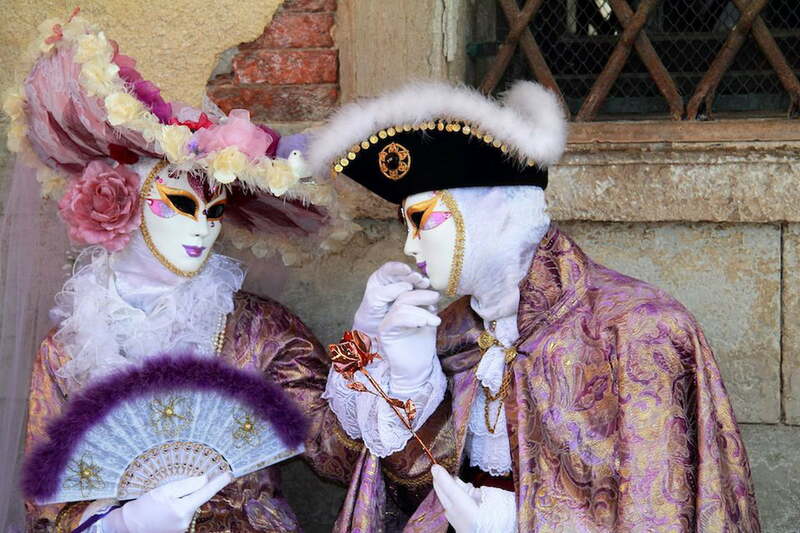 The Venice Carnival is currently in full swing, and its highlight sure are the incredible costumes and masks. 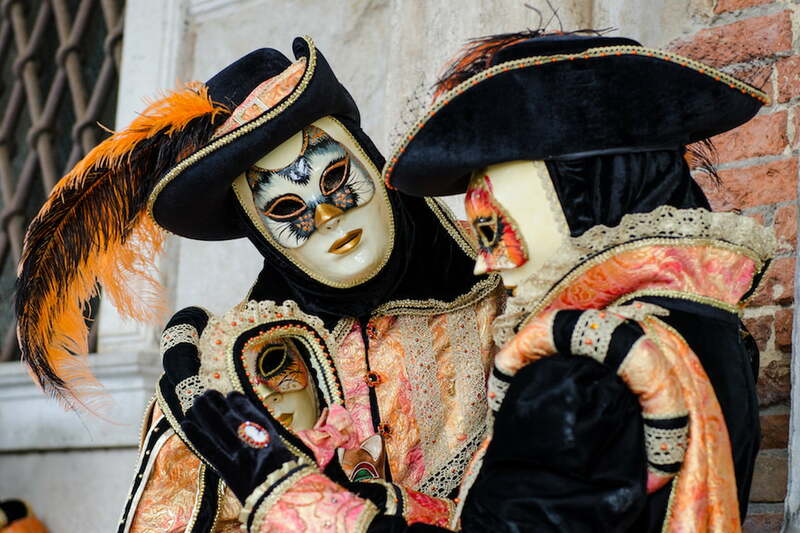 Even today, the centuries-old tradition of the Venetian carnival continues to retain something magical and mysterious, and that is due precisely to the typical masks. At Carnival time, walking along Venice’s calli (streets), it was common to hear ‘Buongiorno Siora Maschera!’ Masks were so popular and beloved that mask makers, called ‘mascareri,’, even had a statute. They belonged to the same working group as painters, and were helped by ‘targheri,’ who imprinted painted faces on the stucco, sometimes portraying ridiculous, exaggerated features. Masks in Venice were not only used during the Carnival period; they were allowed for example on St. Stephen's Day, which was considered the beginning of Carnival in Venice; until midnight on Shrove Tuesday, which concluded the Carnival celebrations; during the 15 days of the Ascension; and during all the most important events, such as official banquets or feasts of the Republic. Baùta is one of the best known and most popular Venetian masks. It consists of a particular white mask called larva (the word Larva derives from the Latin, meaning ‘ghost’ or ‘mask’); a tricorn hat is placed on top of it, and a dark coat, the tabarro, completes the outfit. The baùta was used extensively during the Carnival period, but also on many other occasions; at the theater, for example, at parties, on dates (! ), and whenever someone wanted the freedom to court or be courted, in total anonymity. The particular shape of the mask lets the wearer eat and drink without having to remove it. It was used by both men and women, although it was a predominantly male costume. La Moretta was women’s favorite disguise. It consisted of a small oval mask made of dark velvet, worn with a hat and embellished with veils. It was used by women when they went to visit the nuns. The Moretta style was imported from France and was quickly adopted in Venice as it helped highlight female features. Those who wore the Moretta mask could not speak as they had to hold a small button in their mouth to keep it in place. 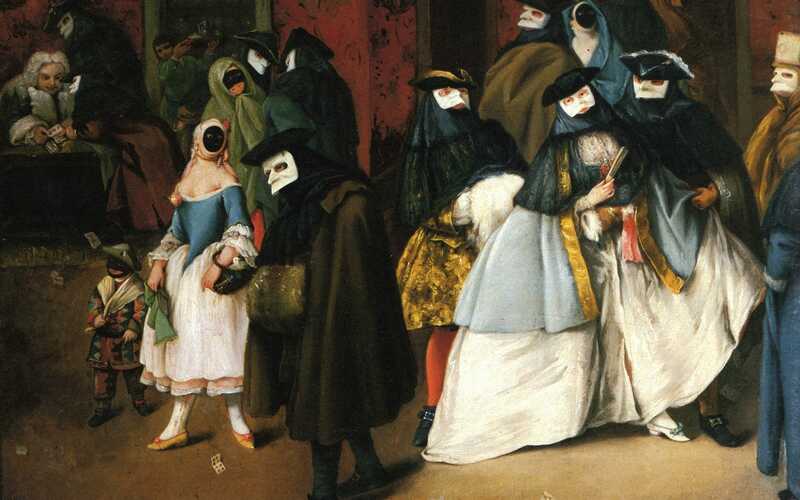 This matched especially well the spirit of the Venice Carnival as women were thus able to maintain total anonymity and engage in any sort of prohibited play. Another typical mask of the Venice Carnival is the Gnaga, used by men to dress up as women. The costume consists of every day female clothing and a mask with cat-like appearance; the mask wearer often carried a basket containing a kitten and posed as a commoner woman, emitting shrill sounds and meows.